Happy Valentines Day! 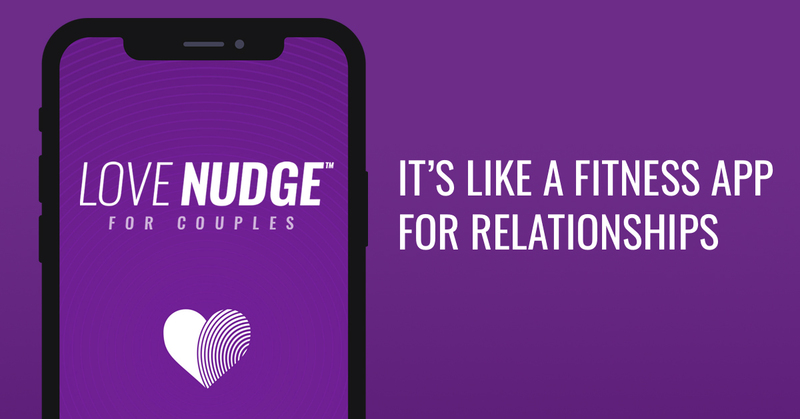 Today is the perfect day to download this incredible new app called Love Nudge. If you have heard of the 5 love languages you already know what they are all about and how they can make your love life better. Now there is an app that allows you and your partner to make that even easier. Simply download them to both of your phones and then take the quiz, you can learn what each others love language is and you can work towards fulfilling your partner in their specific love language. Linking the apps on each of your phone makes it the most useful tool you have to tune into your partners needs. Love and marriage is hard work, I have been married for 18 years and can attest to this. There have been times I have wondered how to reach my spouse in the best way. Love Nudge would have been such an amazing thing to have during those times. I love that you can track each other and what is the most important things to them. Knowing about the 5 Love Languages and using them to make your partner feel loved and cared for. These are the things that make long lasting relationships. Valentines Day is the perfect day to download this app, and as a great last minute gift go and pick up the 5 Love Languages book. You can also enter to win a set of the books. HERE! Enjoy your day and enjoy your life together. Let Love Nudge help you do that.